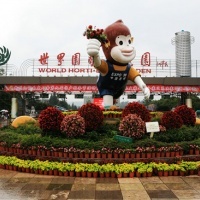 The Kunming World Horticultural Exposition Garden is a super exhibition hall, where beautiful landscapes duplicated from all over the world are showed. It was hosted by Kunming city from May 1st until October 31st in year 1999 and participated by over 69 nations and 26 international organizations. 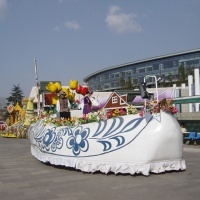 The Expo Garden is located in the northern suburbs of Kunming (near the Golden Temple) some 4 kilometers from downtown. 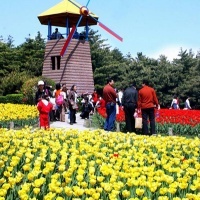 It consists of 5 indoor exhibition halls (China Hall, International Hall, Man and Nature Hall, Greenhouse, and Science and Technology Hall), 3 outdoor exhibition grounds (domestic, international, and enterprise), and 6 theme gardens (Tree Garden, Tea Garden, Bonsai Garden, Herbal Medicine Garden, Bamboo Garden, Vegetable and Fruit Garden). All bus stations in Kunming have special buses get to the Kunming Horticulture Exposition Garden; if you start from the Golden Temple, you can take cable car to the garden; or take bus No 10 or mini-bus at Changshoulu; other bus No 69 and 71 also reach there. 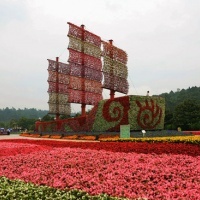 Design and incorporate the Kunming World Horticultural Exposition Garden into your Yunnan tour here!